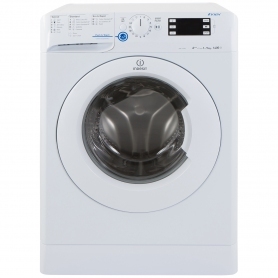 With a host of great features and settings, the XWE91483XW is the perfect washing machine for any busy family. 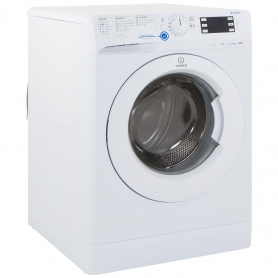 Find out more about this excellent home appliance from Indesit. The first thing that you'll notice about this washing machine is its smart design. 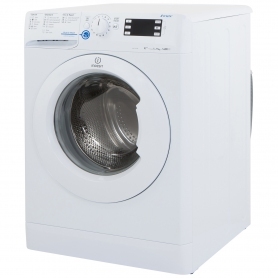 It's got a classy white finish and a see-through porthole door that lets you check on your wash while it's in progress. 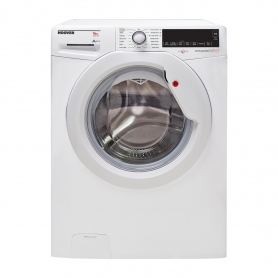 The easy-to-use controls are found at the top of the unit, along with the digital display which indicates the time remaining on the current cycle. The drum has a 9 kg capacity, which is one of the larger sizes available. 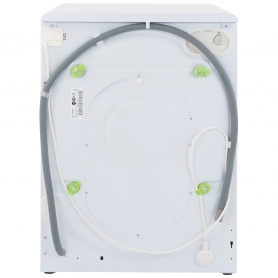 This is big enough to fit plenty of dirty clothing or bulky items like bedding. This is great for families who get through a lot of laundry. Loading and unloading the machine is hassle-free thanks to the large door. 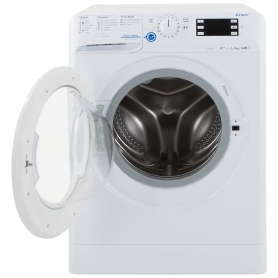 With an impressive A+++ rating, the XWE91483XW is one of the most energy efficient washing machines currently available. This means lower running costs and savings on your electricity bill. This machine has an impressive array of programmes. Whether you're washing bed sheets, towels or your favourite outfit, it will have the perfect setting. These include eco wash, woollen, delicates and silk programmes. There are three cycles for cleaning sports clothes. These are specifically designed for tackling mud and sweat - ideal if you've got active kids or a partner who's a fitness fanatic. The delay timer is one of the XWE91483XW's handiest features. You can load up the drum the day before and programme the cycle to start a few hours before you get in from work the next day. That way, it will be ready to unload when you get back. This is good for your clothes as you can get them dry quickly. It lets you plan your laundry around your work, social and family life. 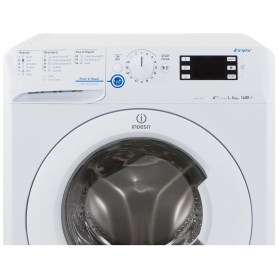 Indesit Washing machines always represent quality and the XWE91483XW is no exception. Talk to one of our experts today for more information.